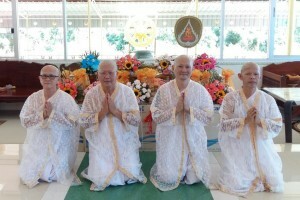 Above: 1 Dec 2015- Photos of participants taken before hair shaving. 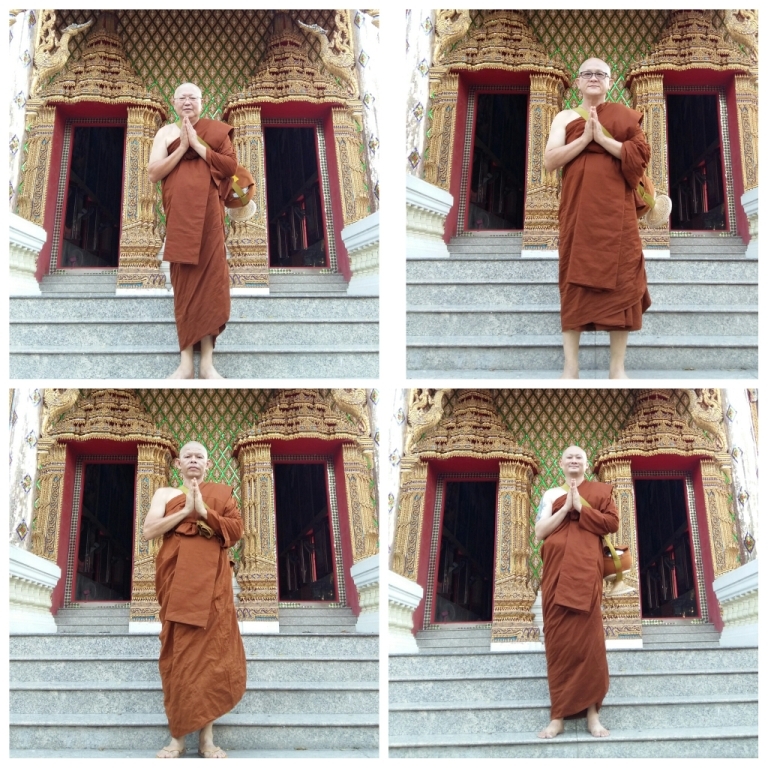 Above: 1 Dec 2015- Photos of friends from Sabah. 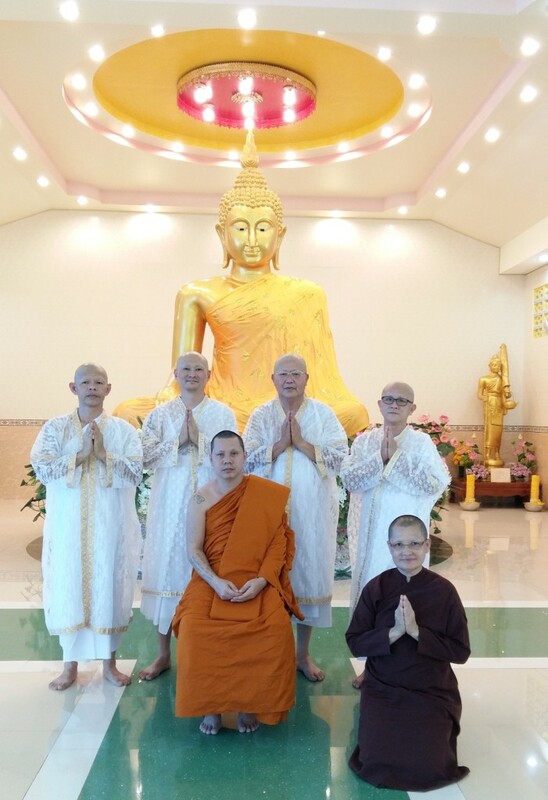 Above: 2 Dec 2015- Photo taken before ordination ceremony. 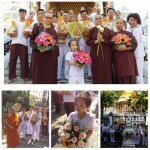 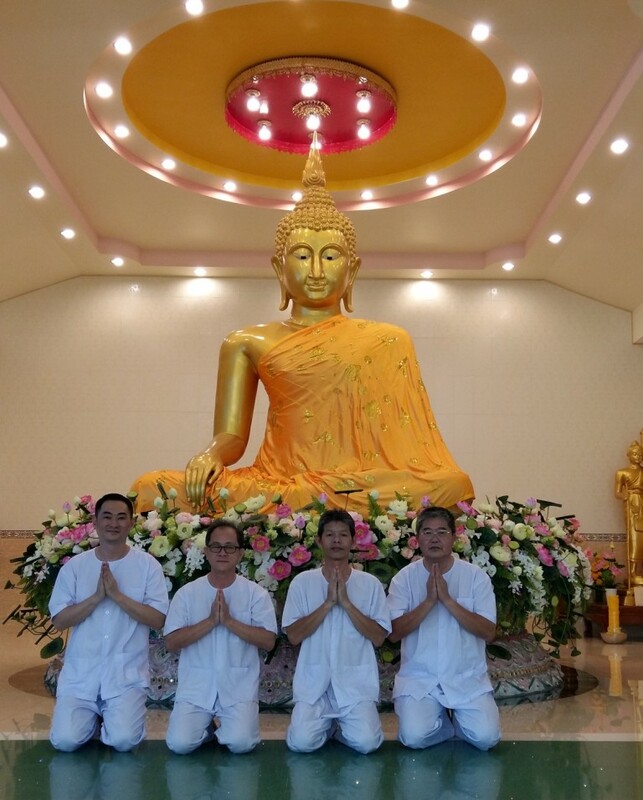 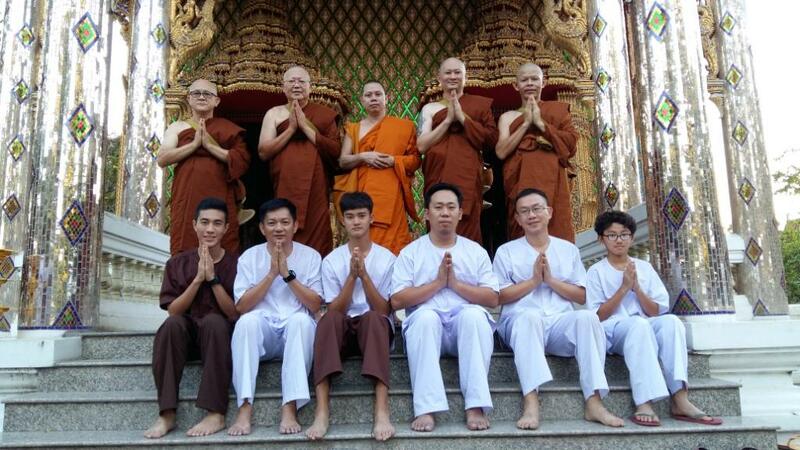 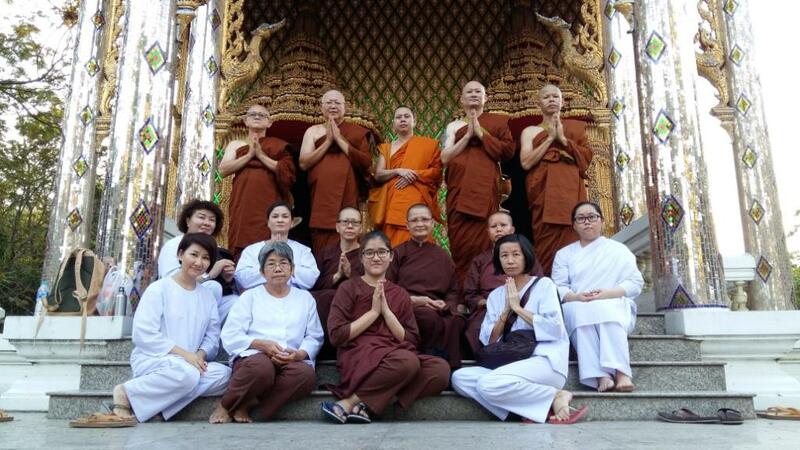 Above: Group Photos taken before we proceed to Wat Dhammachedi Sriphiphat for ordination ceremony. 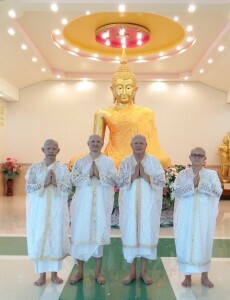 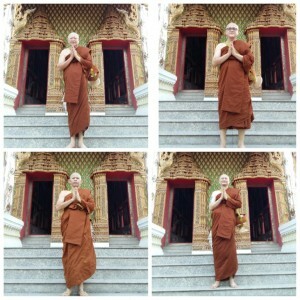 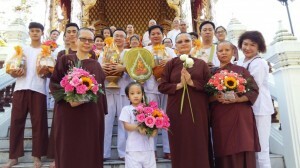 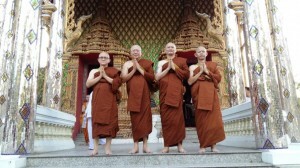 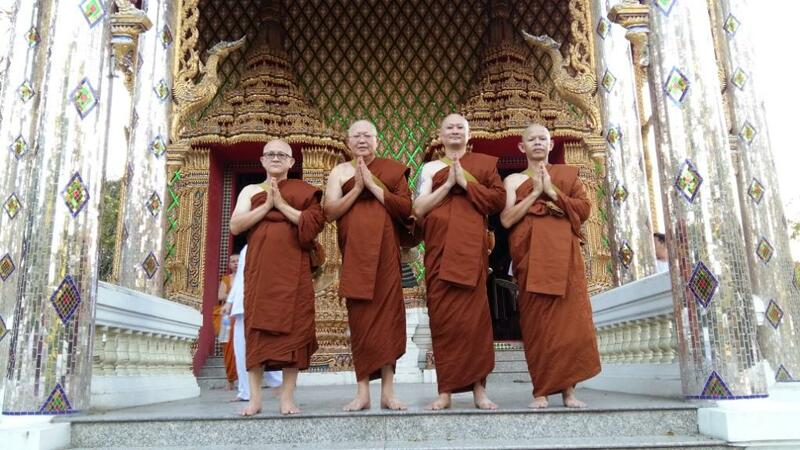 Above: Our 4 participants would undergo temporary ordination as full pledged monks. Above: Photo taken in front of some of the offering items that we would bring to offer the temple during ordination. 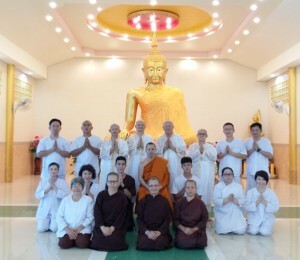 2 Dec 2015: Group photo taken in front of the ubosot (ordination hall) of Wat Dhammachedi Sriphiphat. 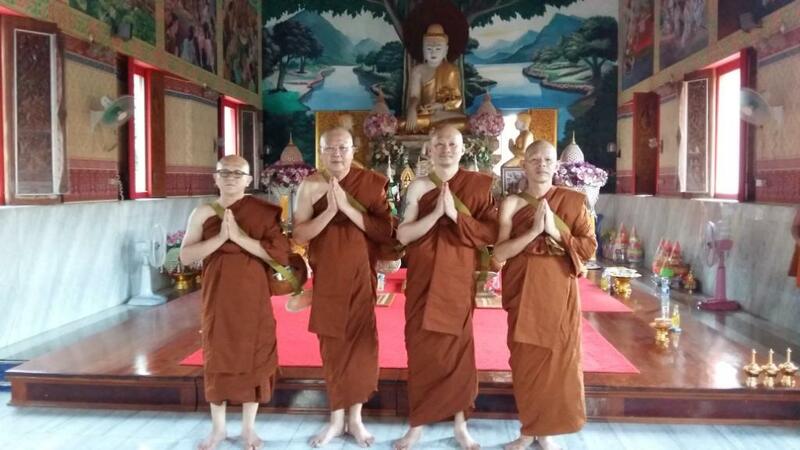 4 fully fledged monks after completing the ordination ceremony. Photo taken outside the ubosot hall. 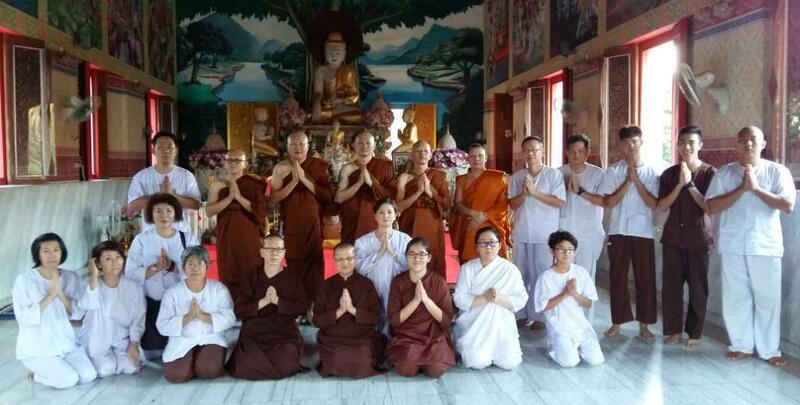 Sadhu sadhu to our newly ordained monks.